But Bayern takes their schnitzel so much further. 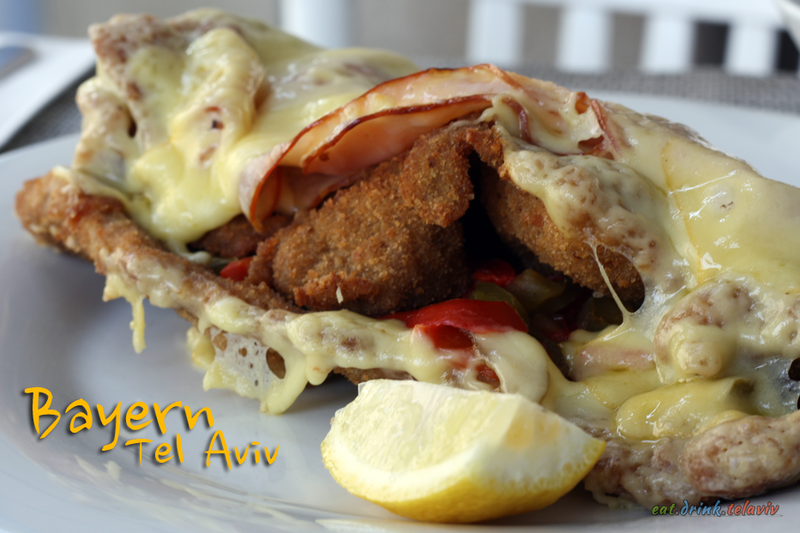 Not encumbered by kashrut Bayern kicks up their schnitzel game by offering both pork, veal or chicken, and a variety of more meats and cheeses on top that will make you salivate, as each and every savoury-greasy-cheesy-crunchy craving deep within you is satisfied. 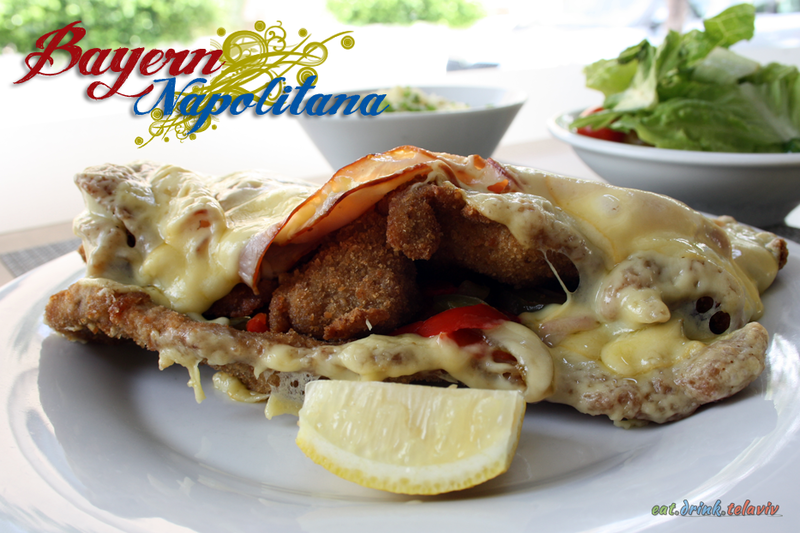 The Napolitana is a sinful combination of pork (or veal) schnitzel, pepper salsa, ham and cheese. Just take a moment to breathe that in. Meat. Meat. Cheese – it’s so close to being the Turducken of Germanic food.The generous portion is worth splitting if you were taught sharing in kindergarden. Or feast on the crispy piece of meat(s) and cheese and hope you don’t drown in a pool of your own drool. During their business lunch you can get an appetizer and a drink with a main dish for the price of the main alone. The mashed potatoes appeared too soft (or weak) but were actually full flavoured. The side salad offered a nice variety of vegetables with fresh tomatoes, dill and purple cabbage all hidden underneath by plain lettuce. The Leberwurst (liver sausage) salad appetizer was a vinegary delight, the accompanying toast was crispy and light. The dish seemed small at first, but we weren’t prepared for the size of the main course. 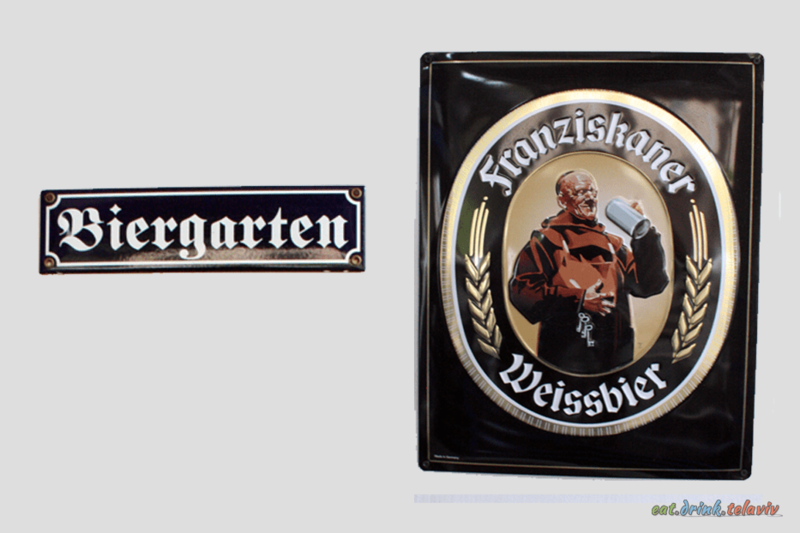 The German restaurant Bayern offers fans of heavy, meat-centric European cuisine a place to enjoy rich artery clogging, but ultimately incredibly satisfying food with its natural and favoured companion beer! Most of the food is carb heavy, including the sinfully indulgent desserts, and this is not the kind of place you go with vegan or vegetarian friends. However for those that have not tried cheese Spätzle it is definitely worth it’s weight in gold. With Oktoberfest every late September-early October Bayern is probably the place to get your lederhosen and dirndl on, and enjoy the best of Bavaria. 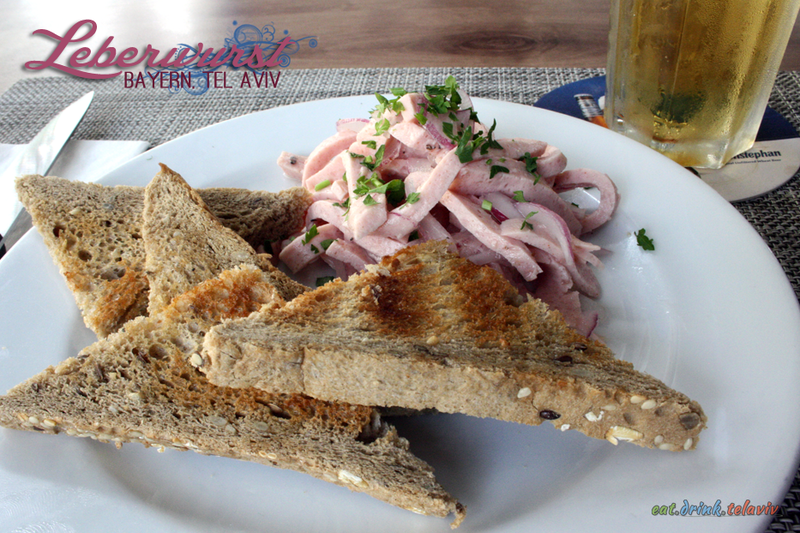 Bayern recently celebrated their one year anniversary in the summer of 2014, and like any new restaurant in Tel Aviv, they continue to work towards establishing their place in the foodscape of this dynamic city. One of the genuine pluses of this restaurant is their unique food offerings. No where else in the city can you get all your hearty German favourites under one roof. 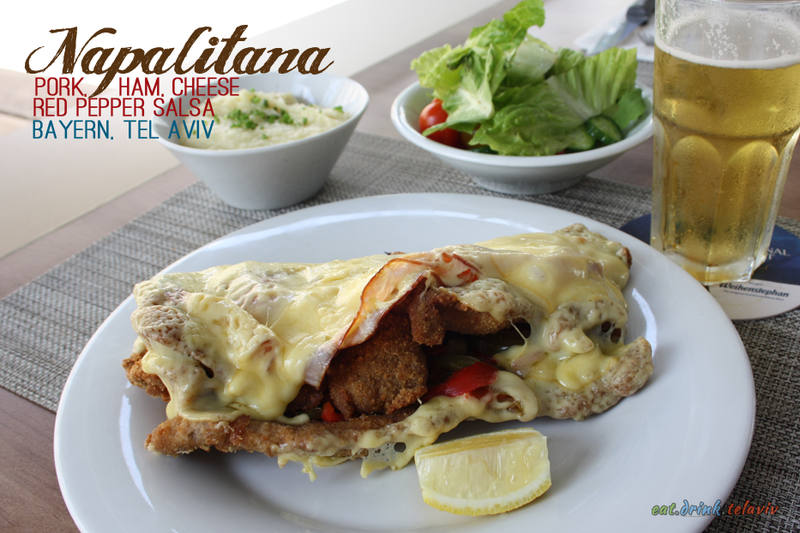 Vitrina offers sausages, Cafe Noir and Espresso Bar among others offer schnitzel and rarely any place has the fantastic spatzle. Ahhhh spatzle! The layout of Bayern, Tel Aviv is interesting, being multi-tiered. It allows for almost private seating, while still giving off the feel of a full-restaurant. Service is a bit slow, even for a humdrum lunch hour. Because of the layout, servers might not notice a patron trying to get their attention. Hopefully all these minor attention to detail issues get worked out. Making sure toothpicks are given at the end of the meal, and checking in on customers for starters. Their menu while it has a lot to offer, makes me wonder if 75NIS is too much for spatzle even if it does have brie. For value (in Israel) the 68NIS schnitzel business deal seems worth it, but 34NIS for the leberwurst appetizer w toast is roughly $9.25US (around Sept 2014). That being said, it offers a few items on the lower end like Bavarian charcuterie, or sausage salad for snacks if you choose to enjoy watching football (soccer) on the television while downing a few beers with friends. All in all Bayern is a perfect touch of Bavaria. 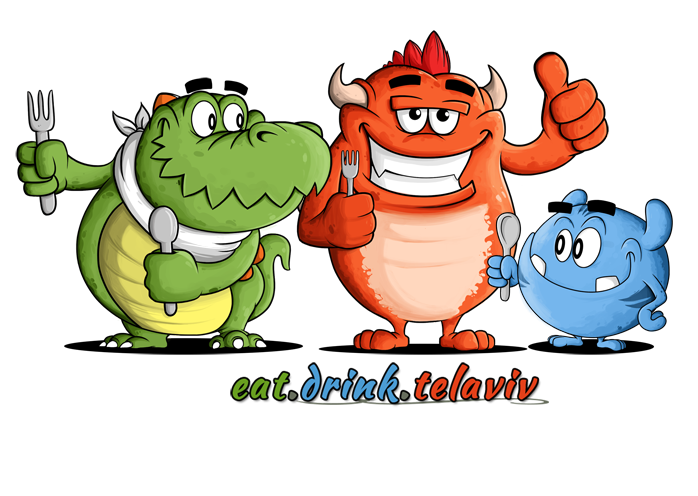 It brings authentic food and beer to the streets of Tel Aviv.